Sherlock Holmes is very famous indeed. His adventures have been translated into 76 different languages. The Guinness World of Records lists him as the ‘most portrayed movie character’, played by over 70 different actors in more than 200 movies. Even his computer game’s sold more than 7 million copies. But there’s one thing this most famously brilliant of thinkers is always wrong about – how Dr Watson writes about his adventures. Your fatal habit of looking at everything from the point of view of a story instead of as a scientific exercise has ruined what might have been an instructive and even classical series of demonstrations. You slur over work of the utmost finesse and delicacy, in order to dwell upon sensational details which may excite, but cannot possibly instruct, the reader. I propose to devote my declining years to the composition of a textbook, which shall focus the whole art of detection into one volume. Watson’s four novels and fifty six short stories are pacey, exciting, unputdownable reads. They dramatise startling solutions to baffling, often scandalous crimes. Each of them balances a rational description of how Sherlock’s art of detection works with a compelling sense of its varied emotional impact. They describe the costs and rewards of Sherlock’s own dedication to his art. We see how it drives the evolution of one of literature’s strongest, most affecting friendships. And of course the stories show us how it soothes the anguish of Sherlock’s clients and sometimes even of the criminals he catches. And it’s all of that emotional detail that Holmes’ disapproves of and would strip out of his own book. But by losing it all, he’d lose the impact of Watson’s writing. It’s pretty hard to imagine his rational little textbook immortalising his art as successfully as Watson’s powerfully emotional stories. In the corporate world, I very often meet people who remind me of Sherlock. They work for companies with very specific expertise, so they want to see writing that precisely and rationally communicates that expertise. They want words that instruct people; a textbook, not a story. That’s an entirely reasonable thing to ask for. But, like Sherlock, it misses something very important – the Dr Watson side of things, the emotional details that turn bland instruction into compelling storytelling, that show us why expertise can matter so much to the people who benefit from it. And that’s what Dr Watson can teach us. 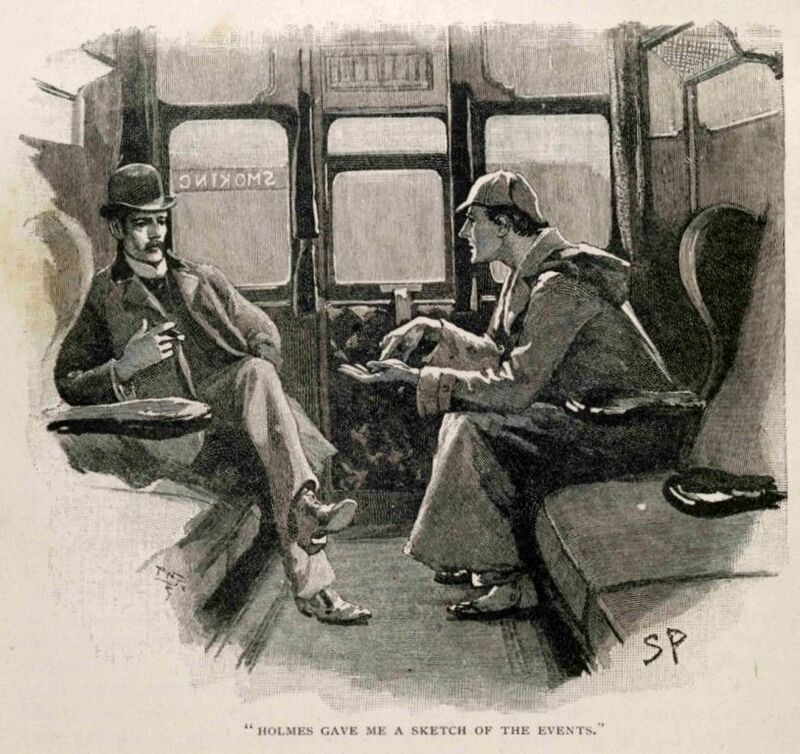 He immortalised Sherlock’s product – his art of detection – by describing both how it works and why that can matter so much. To write powerfully about your business, you need to balance those two rational and emotional factors in exactly the same way.